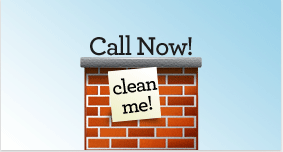 Saratoga Chimney Sweep specializes in chimney cleanings and inspections, dryer vent cleaning, and gas fireplace cleaning. We are certified by the Chimney Safety Institute of America and are Nation Fireplace Institute certified gas specialist. We are always continuing our education. Our Inspections consist of a level I or II Inspection according to the National Fire Protection Agency (NPPA). The level I inspection is the most common and includes inspecting readily accessible areas of your chimney, verifying that the venting system is sound and clear of combustibles, confirm unobstructed flue, appliance clearances to combustibles, general condition of appliance, chimney or vent and connector suitability, and chimney or vent and connector clearances. We recommend level II inspections whenever there is a chimney fire, new appliance installed, and before purchasing a home, This requires everything from level I including a thorough internal inspection of the flue with a chimney camera. Most of our cleanings occur from the inside and are done with a high-powered furnace vacuum keeping your home soot and dust free. Drop cloths are placed in front of the fireplace or stove and your firebox and chimney are scrubbed and swept with professional brushes. Some cleanings are done from the top of the chimney for particularly difficult dampers or wood stoves. Clothes dryer fires are one the leading causes of house fires in America. Dryer vent cleaning reduces the drying time for your clothes and avoids potential house fires and carbon monoxide poisoning. Our equipment removes the build-up of lint and other debris from the dryer vent. We also clean in the hard to reach places below your lint trap. We have instruments that will measure the output of your vent before and after we clean. This will show you the expected performance boost your swept dryer vent will have. All manufacturers of gas fireplaces recommend in their owners manual to have the appliance serviced annually by a NFI certified gas specialist. These appliances may burn much cleaner than wood fireplaces, but indoor dust and hair can clog burners and orifices creating a much dirtier burn. There are also many safety features on a gas fireplace that protect the owner and the home incase there is a malfunction. We go through a checklist of all these safety features while we clean the unit. We offer stainless steel screened caps for masonry and metal chimneys. All stainless steel models will not rust and come with lifetime guarantee. And many more. Just give us a call!